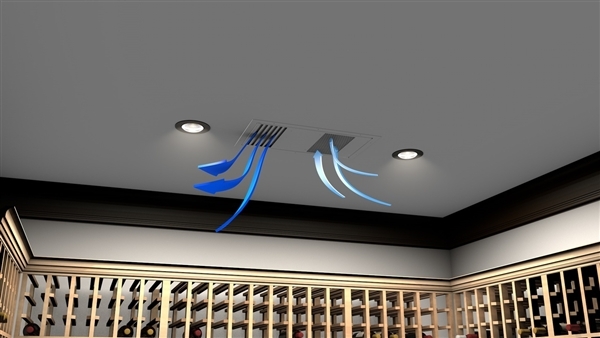 Offers excellent efficiency by drawing in the warmer air which accumulates at the ceiling, cools and disperses the air throughout the environment. Allows for maximum racking space. Is virtually invisible in the cellar. Designed with the highest quality, professional grade parts for longevity and performance. 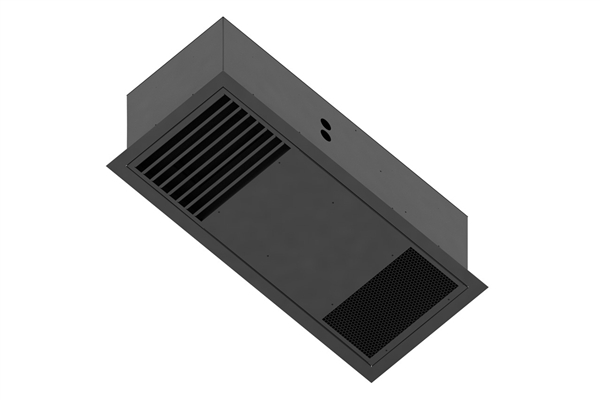 Designed for ease of installation and accessibility. Smooth, black primered finish, excellent for painting and color matching. Includes a condensate pump system. 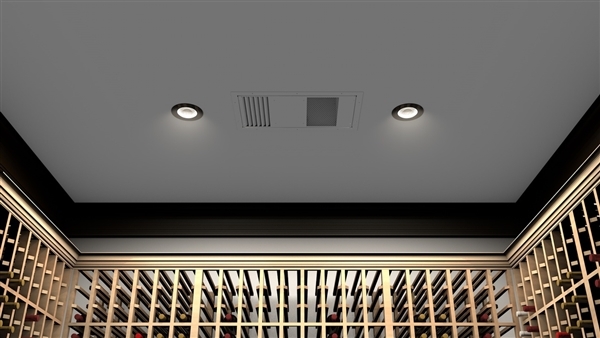 Creating a cellar environment with our new ceiling mount split system will offer the flexibility to design a beautiful environment for the aging of fine wines with a virtually invisible cooling system. Included is the quality and reliability that contractors have come to know from WhisperKOOL. There are circumstances in which a cellar design may require a larger unit due to some existing design restrictions. There are several factors such as glass, stone, concrete, etc. which will seem adequate but do not offer the insulation capacity required to maintain the optimum environment. 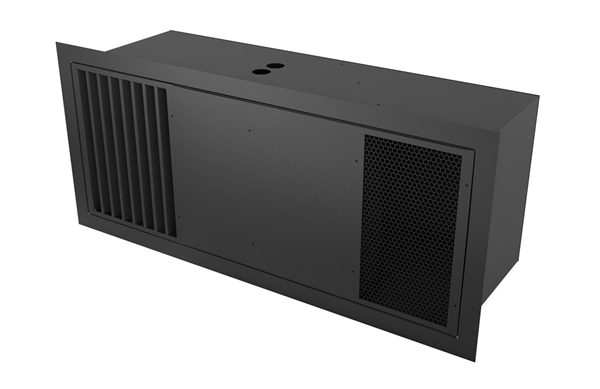 We recommend purchasing a unit with a larger capacity to compensate for the design limitations. Please utilizing our Cellar Wizard in order to ensure you are selecting the proper cooling unit for your application. 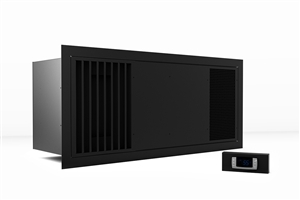 Under sized cooling units can lead to pre-mature failure and/or prevent the system from reaching the desired set temperature. As a result they are not covered under warranty. *Pump down systems are integrated into the design of our split systems to provide our customers with the most professional and reliable split cooling systems for wine cellars.